One of a kind earrings inspired by Tuolumne River of Yosemite Valley. 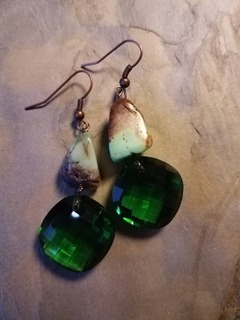 The rich archeological landscape along the Tuolumne River reflects thousands of years of travel, settlement and trade in the Sierra Nevada. 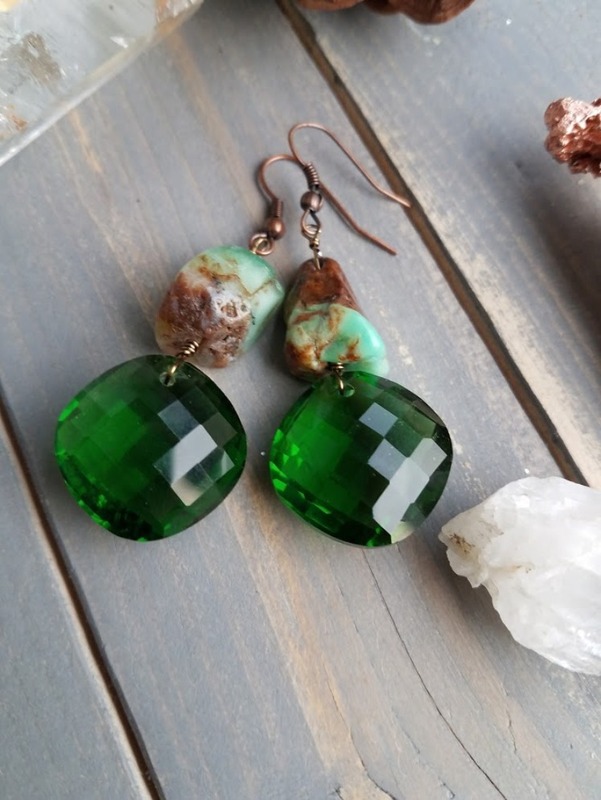 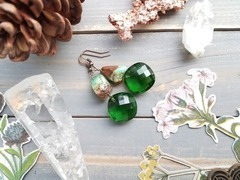 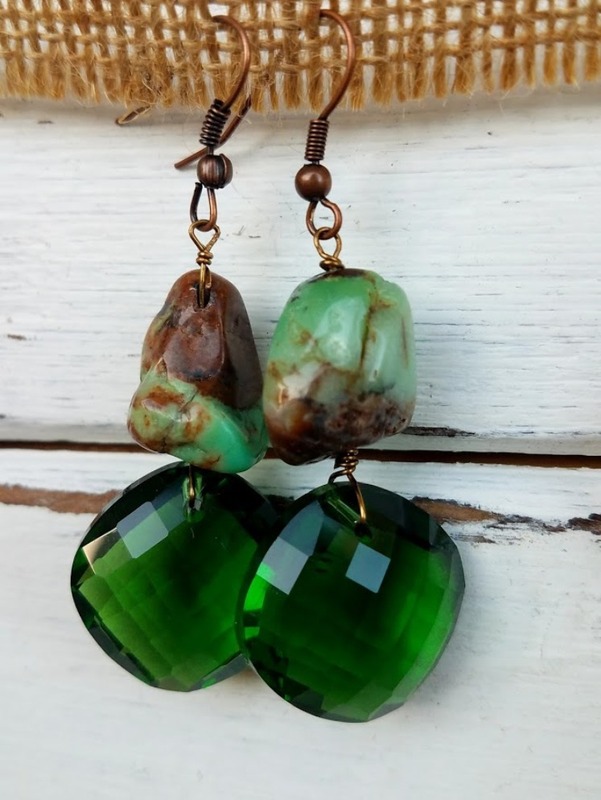 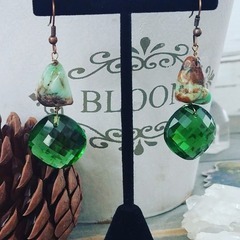 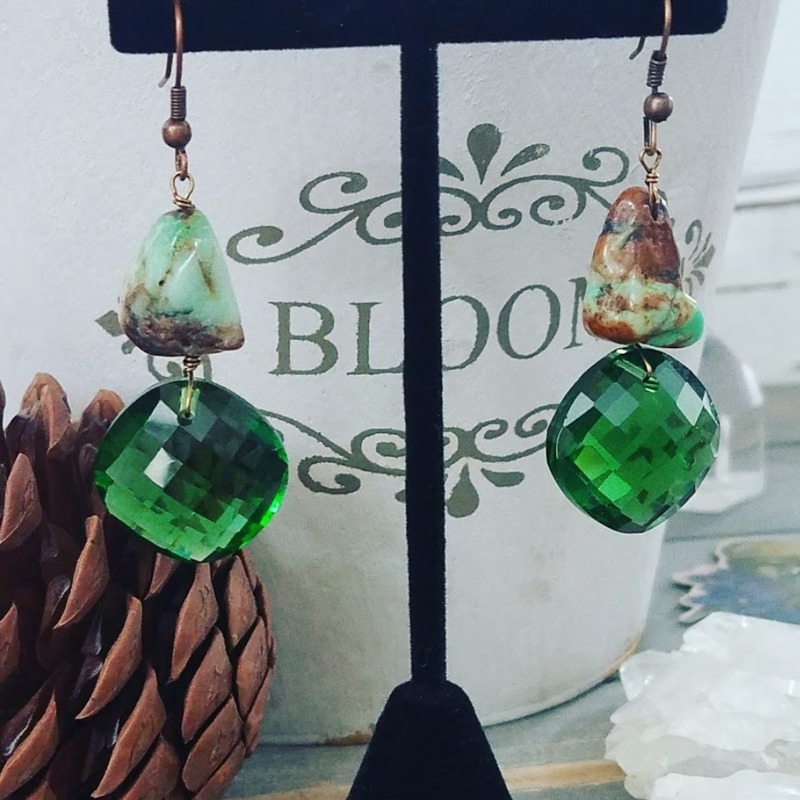 Slightly mismatched green turquoise with opulent vintage glass drops bring the full beauty of the wild west landscape to your ears with rustic elegance.